After marking her debut as an RJ for a radio show that caters to women and what they want, Kareena Kapoor Khan is all set to be a part of a dance reality show. The actress will mark her TV debut with Zee TV's Dance India Dance, that is known for encouraging and finding some of the best dancers of the industry. 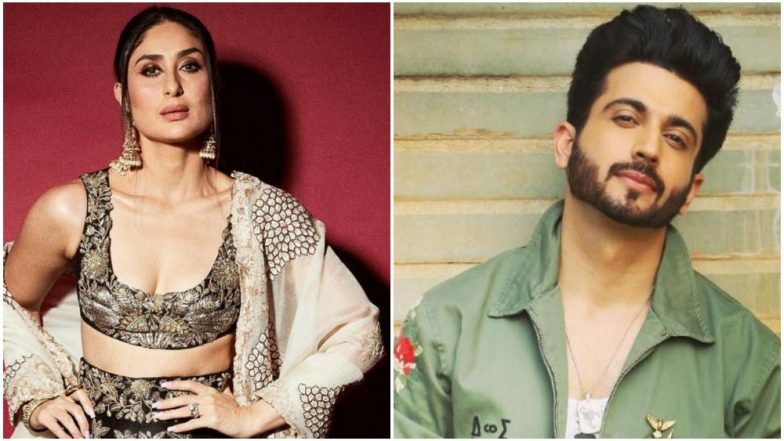 Earlier we heard rumours about Bebo being in talks with the producers to be a part of this show, however, a recent confirmation from host Dheeraj Dhoopar has finally tied all the loose ends. Akshay Kumar Teases Kareena Kapoor Khan for Having a Flat in Every Building in Bandra. In his recent conversation with Pinkvilla, when Dheeraj was asked about Kareena being a part of this new season, he said, "Totally excited and yes, she is one of the most beautiful and stunning ladies we have. Standing in front of her and hosting is a different excitement. I am looking forward to being on that stage, looking at her and saying a few things. Sharing stage with her would be one of the many things I am electrified about." When asked about his decision to be the host and how did it all happen, Dheeraj said, "When I first got a call about it, I was very excited. Around a year back, I had thought about turning a host as well and hence thereafter, I took up a few hosting projects like I hosted a few awards shows and finale episodes of reality shows. This is something I haven't done, so I was like, let's do it. People also liked me in this stint so I am pretty pumped up." Confirmed! Kareena Kapoor Khan to be a Part of Irrfan Khan’s Angrezi Medium – View Pic. Dheeraj is currently playing the role of Karan Luthra in Balaji's Kundali Bhagya, that's a spin-off of Kumkum Bhagya. It would be interesting to see if Bebo replaces Mithun Chakraborty as the super judge on this show.